Is it really possible to have a cat and a bird in the same house? By a bird I mean a small parrot. 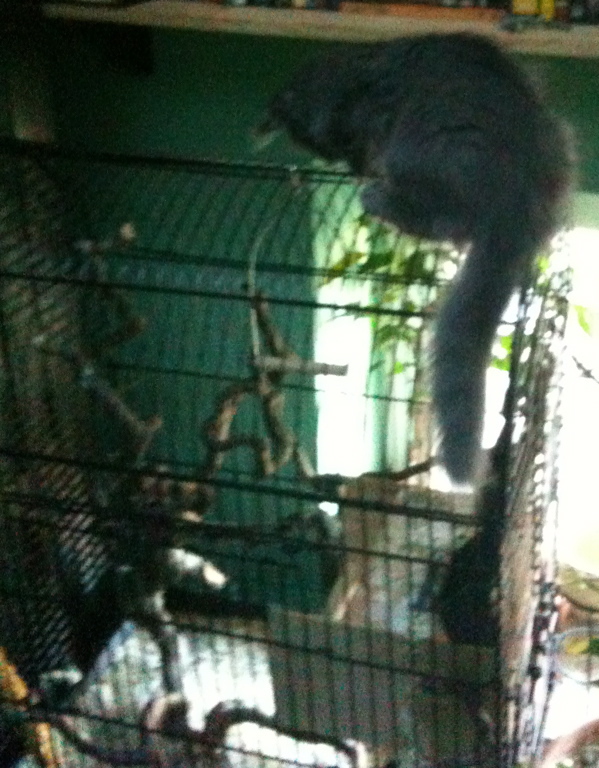 What I meant has anyone had a cat and a bird living together in a house and bird being out of cage . I am getting a cat (Nebelung of course ) and I love little birdies too . What a funny photos and what a lovely Gloria. I do not have bird, but have seen some funny videos about birds and cats which live lovingly together. But I can imagine that a flying but is tempting the natural instinct of hunting even more when they are young and want to play a lot. Yes Gloria is a real beauty . Maybe then it would be a better idea to get a bird after the kitten gets neutered? When do you expect your Nebelung?? I hope for you this will be soon!! Very good your waiting is becomming rewarded!!! 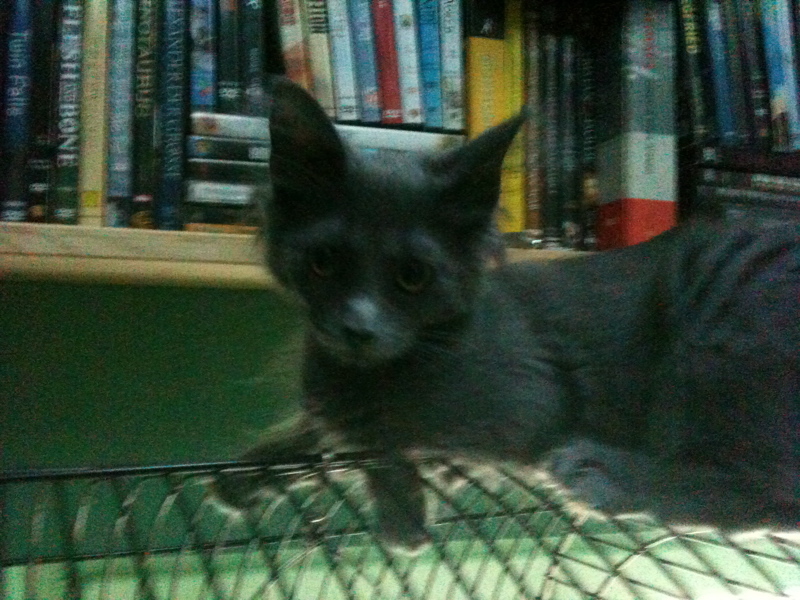 Who is the breeder of your Nebelung kitten???? Do you have photos to share with us??? I'm very happy for you!! The breeder is ofc member of this forum and known to you. Next week I am signing the contract. Oh look what I've found . So cute! Lilu wrote: Oh look what I've found . So cute! Very cute!!! I'm sure you can find more cute photos on the internet of love between cats and birds. Lilu wrote: The breeder is ofc member of this forum and known to you. Next week I am signing the contract. You know how to keep us excited I most of all hope you and your new friend will be very happy together.